Discussion in 'General - Guides and FAQ' started by sebastien.dst, Nov 5, 2018. I don't understand the save system of posters. So now in theory, all posters are saved only in the custom directory, and access management is more convenient. But after the movies scan, when I look in my custom folder, nothing appears. I think when I choose a custom directory folder, it's not this one that it mainly uses. Because even after you clear or remove sources, when you add that sources again, the posters still the same like before, with the same front and backdrops cover edit. My request is simple, where Home Theater saves the data? I found how to display the saved posters in a custom folder. You must allow the hidden files in the right sidebar options. If you delete the custom folder with all files and remove all sources, when you add these sources again, the posters still the same like before. If you want to edit all information for your posters, there is a solution. You must edit the database of your posters data. 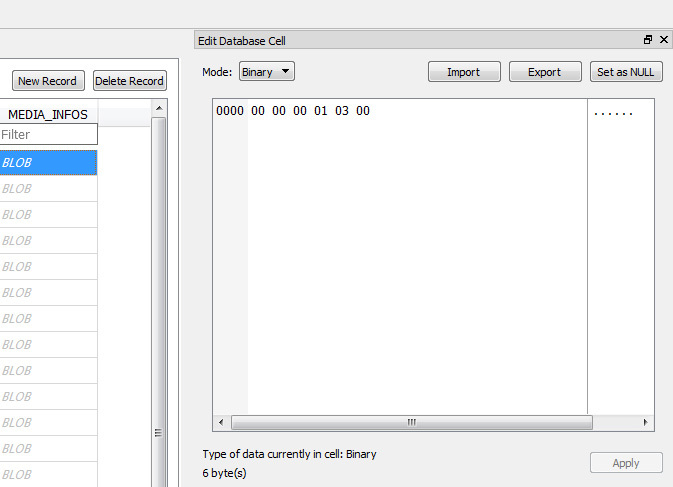 The database contains 16 main tables and you can edit all information. You can also edit the video information. Because when you play for the first time a video, HomeTheater saves the resolution and frame rate and other information. For example MKV, BDISO, 4K and more. These information are saved on the VIDEO_INFO table. And when you look on MEDIA_INFOS you can see a BLOB binary information. All content displayed on your posters may be editable. I hope my research will help the Zidoo community. Can you tell me why HomeTheatre will ABSOLUTELY not save the selection to "SHOW FILE PATH" option which you can select in settings... No matter how many times I check the box, the file path is shown for THAT SESSION ONLY???? Upon reopening or even leaving the screen momentarily when you come back it no longer displays the FILE PATH... and sure enough if you look at the settings the box UNCHECKS itself???? I don't know if you are talking about the same option, but I have exactly the same effect. When I select "Show Path" everything works perfectly, but I have the same effect as you when I leave HomeTheater and I come back on HomeTheater dashboard. The function is automatically deactivated when you leave HomeTheater. I think it's a developer bug or just an option to quickly visualize the path of your files temporarily. So what file did you open and with program? That is a very handy way to edit it. My X20 is equipped with two ssd's and I have all Hometheater files set to custom in the settings. 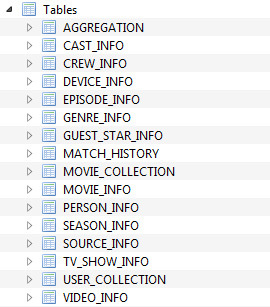 I found the database for audio in Android\data\com.android.providers.media\databases on one of the discs. The file has an .db ending. Did anyone know where the hometheater database (seen above) can be found ?? @sebastien.dst didn't show up anymore. I would really appreciate to edit my wall directoly in the db now that backdrops are not really working. Is this from an X20 ?? available without rooting ? ?